The college and seminary hope to secure state approval so that their operations will be housed solely at its Manhattan campus at 2 Washington St. by the fall of 2019. After purchasing 28 acres, in 1897 the school moved to the village of South Nyack. 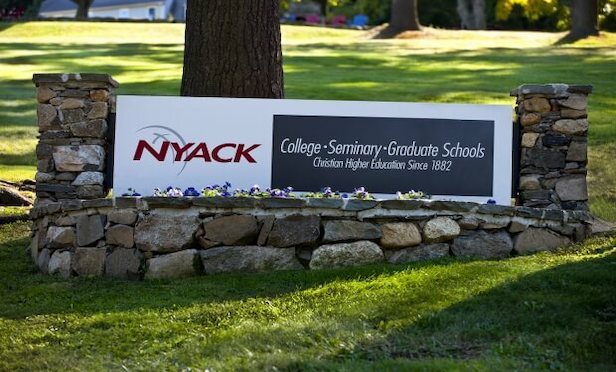 NYACK, NY—Nyack College and the Alliance Theological Seminary have applied for state approval to shift their campus academic programs from Nyack to their Lower Manhattan campus. Officials with Nyack College say that the approximately 107-acre campus on 1 South Blvd. in Nyack will be put on the market for sale.